Heading to Seattle for MLA 2017? Please support your colleagues by visiting these poster sessions. Congratulations to the presenting Georgia librarians! This entry was posted in exhibits, meetings, news on May 9, 2017 by admin. 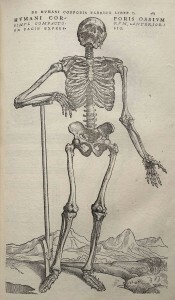 Atlanta’s Emory University is hosting an exhibit of material from the Woodruff Health Sciences Center Library’s historical collection of artifacts and medical books, including a print of Andreas Vesalius’s “de humani corporis fabrica”. An opening reception for the exhibition will be held at 5 p.m. on Friday, May 17, 2013. The exhibit will be on display through October 2013. Read more about the exhibit here. The Library is located at 1462 Clifton Rd in Atlanta. Additional details such as directions, parking, hours and maps may be found here. This entry was posted in exhibits, news and tagged emory, exhibits on May 2, 2013 by admin.